Okay, we know, everything is clear. Beer can not be diluted or mixed with anything, but curious as we are, we just could not resist, so we look for cocktails that are made with the help some of our favorite beers that we had the opportunity to try. It is important that we open the mind from time to time give a chance to new places, people and flavors, and the girls to could enjoy the taste of the beer cocktail. Who knows, you might among one of these cocktails find a drink that you'll love the rest of your life. For those who are still skeptical, let's start off very slowly and the first to introduce you to a very simple beer cocktail, which is made of two types of beer. Black stout beer (often Guinness), while light beer commonly ale or lager. 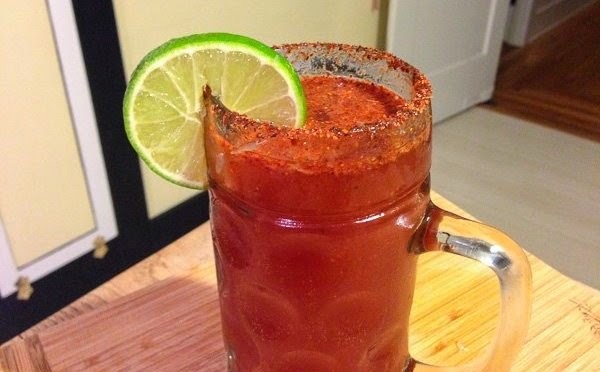 Although this drink is relatively easy to prepare, his name has a rather complicated history. The Irish history remembers "Blacks and Tans" as police units that were known for their brutality during the fight against the Irish Republican Army in the 20's of last century. If you're in Ireland and you order this beer cocktail, we recommend that you use the name "half and half". 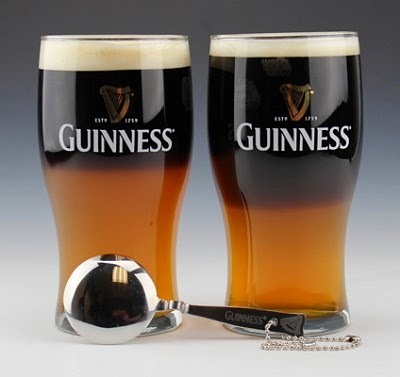 Fill half a glass with a light lager beer, and then slowly fill the rest of the stout beer pouring it over the back part of the spoon as the liquid would not blended. Cocktail bright yellow color contains bourbon, lemon juice, marmalade and bitter orange, and pale ale beer. 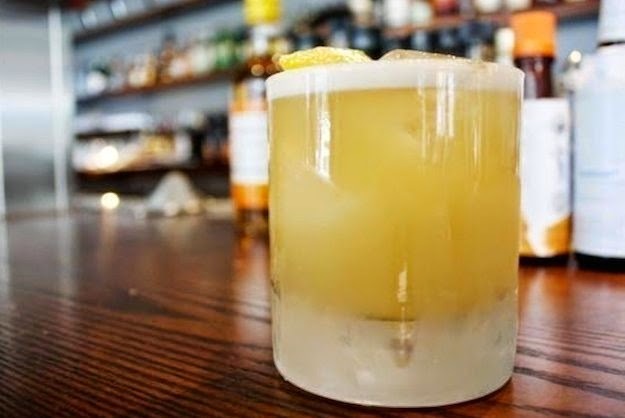 Basically it is a Whiskey Sour cocktail with the addition of beer. Preparation: Combine all ingredients, mix gently with ice in a shaker. Pour over fresh ice in a tall glass. Garnish with a spiral of lemon. It is well known that Mexicans love all fairly seasoned, and in many cases they do it is a beer. 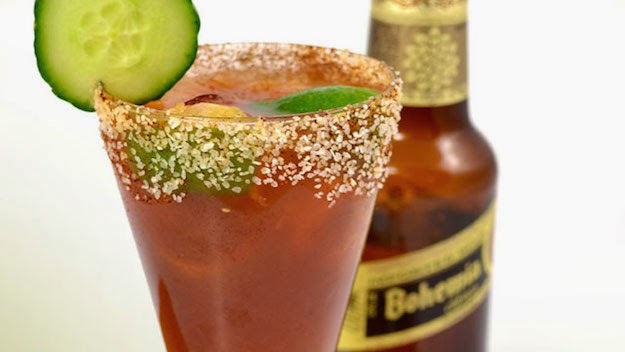 Michelada is a popular Mexican beer cocktail that is usually done by Dos Equis or Negra Modelo beer. Take a tall glass or mug, and then you put it in lemon juice, sauces, pepper and ice, and finally add the beer. Optionally, you can dip the glass rim into lemon juice and then into salt. In this case, be careful when adding ingredients. Beer `s Knees is a variation of cocktails Bee`s Knees, which was popular in the era of Prohibition, and equally adored by women and men. As there are not many ingredients, it is always good to have ready for the next time you bring girl to the "tour" of the apartment, this cocktail will provide you extra points. Gin, lemon juice and honey syrup with ice Shake vigorously in a shaker, then pour the mixture into a tall glass with or without ice. Fill a glass of wheat beer and everything to decorate a spiral of lemon. 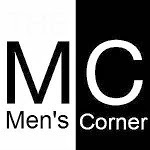 As we men do not like too complicate, we present another very simple cocktail that you only need two ingredients. 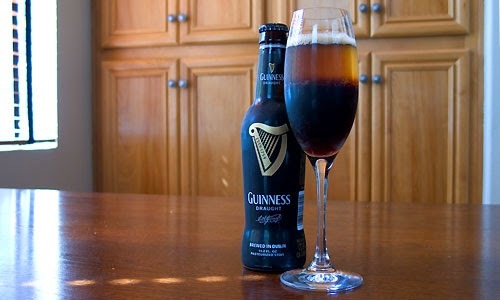 Black Velvet was invented in 1861, and for it you will need a stout (commonly Guinness) and champagne. Fill half of tall glass with stout beer, then gently add the champagne and enjoy the flavors.